Looking for some great family activities during the cold winter weather? AskPatty has joined with Active Green + Ross to gather a selection of great winter escapes for the family. As our first tip, consider going skiing or snowboarding: Whether the kids are bunny-slope-bound or ready for snowboard tricks in the terrain park, you’ll want to find ski resorts that are perfect for families to enjoy. 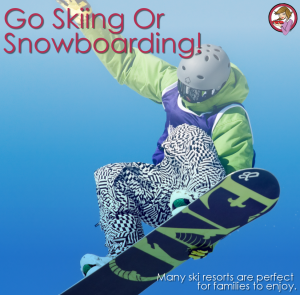 The Travel Channel has carefully evaluated these destinations to be especially family friendly for their easy access from the airport to the quality of their ski schools to how well a mountain is suited for little skiers. We have over 70 locations in Ontario to serve you - from Windsor to Ottawa and from Barrie to Toronto find the tire centre nearest you.